In a decent enough location and, minus the England flag painted on the outside wall, could be an interesting building. No real ales when I visited and although some bar staff were friendly some were not and the customers are mostly paralytic kids who throw bad pints and even worse abuse- not family friendly, not real ale friendly, food suitable for gorilla clientele only. Avoid. Went in here looking for somewhere for our group to eat later that evening. 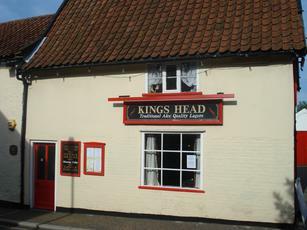 This pub seemed ideal, centrally located in attractive village, good choice of real ales, well kept, large outside seating area, separate games area with pool table. All seemed well until I went in the games area and found it infested with photographs of Manchester United, so we went to the White Horse instead.